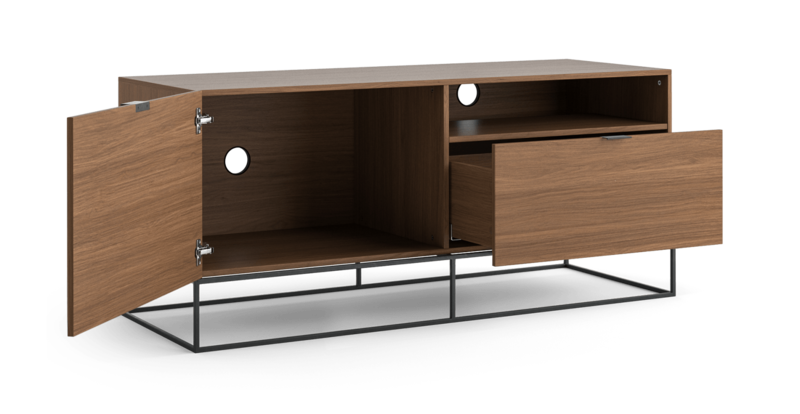 The Walter Entertainment Unit is the perfect item to hold and store your home cinema. With a mid-century look, it is an essential piece of design for to your lounge. 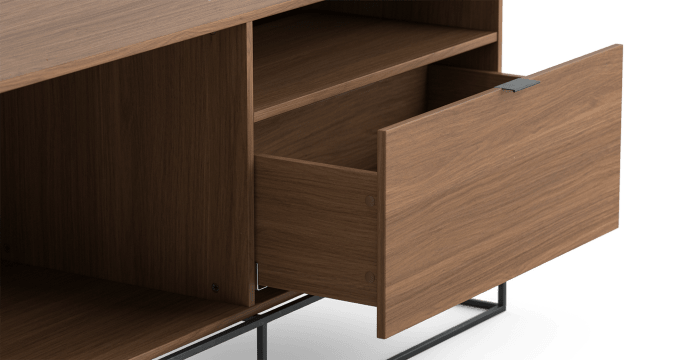 This modern unit features steady black metal legs, a walnut wood finish body and soft-closing drawers. 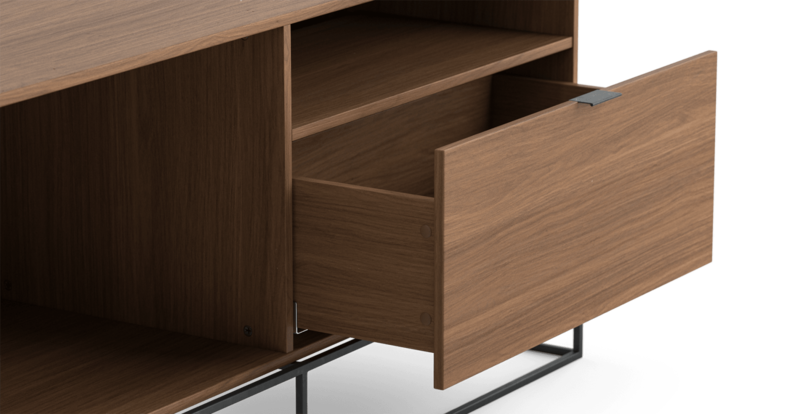 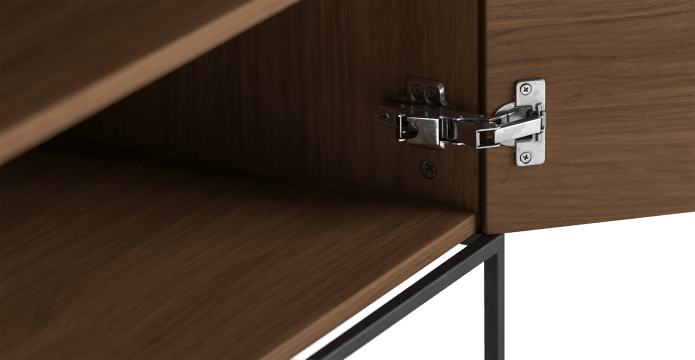 The storage compartments have easy to open handles and a rear cavity for cables. 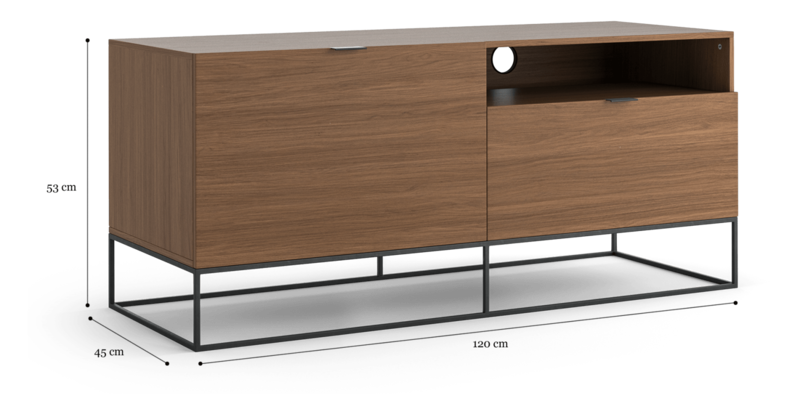 This entertainment unit's space-saving design is practical and compact. 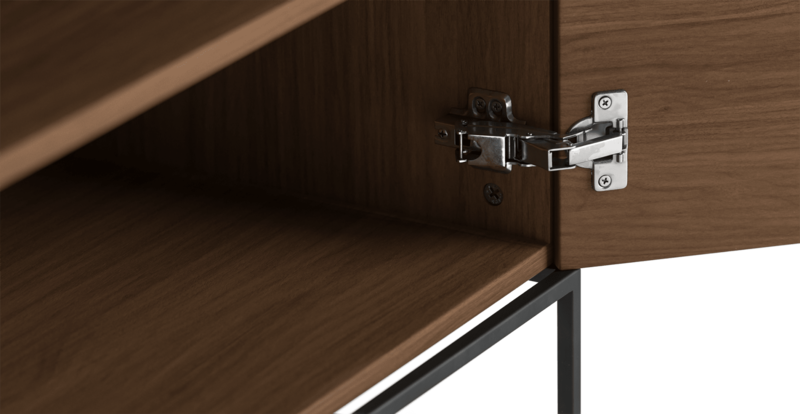 Keeping most of your living space for your parties. 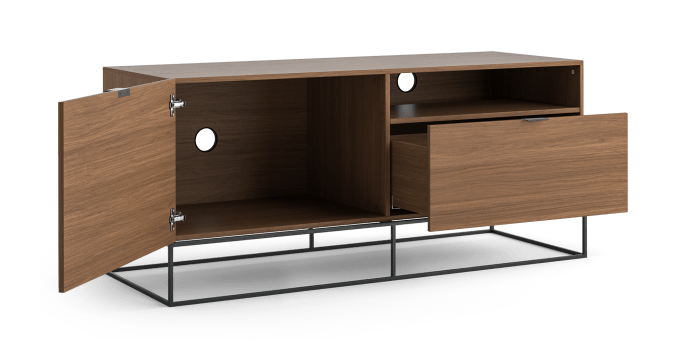 Walter Entertainment Unit is designed to be matched. 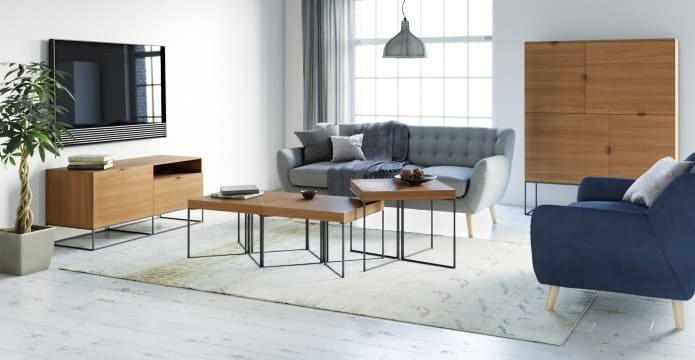 Get the rest of Walter Collection to style up your living room.